House 3 bedrooms, two with air conditioning and the other with fan. 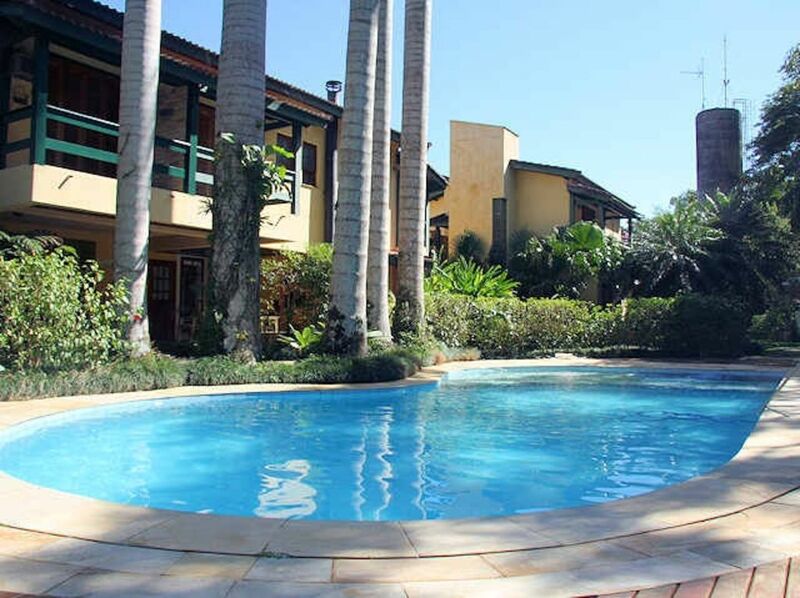 Charming Villaggio located with the funds for the Atlantic Forest with full integration with nature. Tranquility and security. Spectacular pool more shallow area for children, barbecue and air conditioning in all rooms of the house. It has lovely balcony in 2 of the 3 bedrooms. To enjoy the holidays, holidays or a perfect weekend !!! Gostamos muito. Mas seria interessante melhoras nos aparelhos de ar condicionado. Quando da estadia deu problema e um deles e foi resolvido com a troca de um novo. Mas acredito que poderia ser mais potente para suprir o local. Fica a sugestão. Quanto ao restante, maravilha, tudo de bom. Newton muito atencioso, fomos bem atendido. Alugaria novamente. Informações precisas . Casa boa, arejada, tudo limpo e organizado. Newton foi muito atencioso. Desde o início fomos muito bem atendidos. Casa conforme informações do site e do proprietário. It is located in the module 30 in a very quiet street. You can go to the beach walking the malls opened in the bush 15 or 20 minutes or bike through the bike paths.